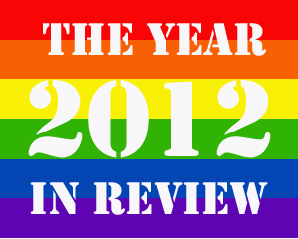 Amy is joined again by Windy City Times' Managing Editor, Andrew Davis, and Senior Reporter, Kate Sosin, to finish their discussion on the GLBT news stories of 2012. They dish on international and celebrity stories including the Uganda "Kill the Gays" bill, Russian concerts with Madonna and Lady Gaga, the 2012 out Olympic athletes, Welcome Back Kotter's Ron Palillo's death, Rosie O'Donnell's health, Anderson Cooper and other coming out stories. They also share stories on John Travolta, Whitney Houston, Donna Summer, Barbra Streisand and SO much more. It is a PACKED show, don't miss it! Music Featured on This Queercast: P!nk Feat. Lily Rose Cooper - "True Love" and U2 - "New Year's Day" and Glenn Miller - "Auld Lang Syne (New Years Eve Song)"